2 King,3 Twin,Bunk Beds,Sleeper Sofa.Floor-to-Ceiling View of the Beach.Best Reviews!Boogie boards,beach chairs,umbrella,toys are provided. Our family's beachfront vacation condo rental is the perfect place for your next vacation at the beach. 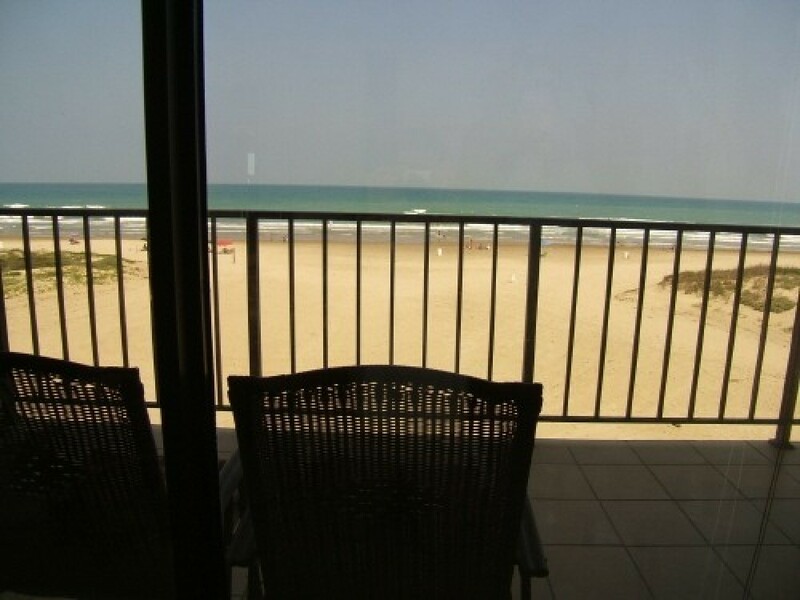 Our complex has the best oceanfront location in South Padre Island, TX. You won't believe your eyes when you see the beautiful views of the sandy beach and the sparkling waters of the Gulf of Mexico through the floor to ceiling windows. When you stay in our condo the sandy beach is always just outside your door! We are also just a few steps away from the popular beachfront Schlitterbahn Beach waterpark and Isla Blanca state park. Every amenity is included at our condo to make your vacation a memorable one. Our well maintained condo has a fully stocked kitchen, Cable TVs with DVD players in every bedroom, washer/dryer, and closet with all of the beach essentials: beach chairs, boogie boards, beach umbrella, and a large variety of beach toys for the kids. Our vacation condo is very kid friendly with toys, bunk beds, a Playstation, and of course the beach toys. We also provide a high chair, stroller, baby bathtub, and Pack N Play for your family's convenience. Our gated complex has 2 pool areas each with a heated pool and hot tub. We also have tennis courts, elevators and ample parking. There is a management office onsite and 24 hr security for your added safety. If you're looking for a beachfront vacation rental for your next trip to the beach, you will not be disappointed with our condo! Our condo is within walking distance of many shops and great restaurants. $ $300 Refundable Reservation/Damage Deposit. If you pay by credit or debit card it is only an authorization charge and will not be charged to your card unless there is damage to the condo.